After "pistes noires", we swore that we would never make another tribute compilation... But yet there was still a legendary group that is also close to our hearts. Who better than BOREDOMproduct could pay tribute to this cult band from marseille producing a demanding and atypical electronic music ? 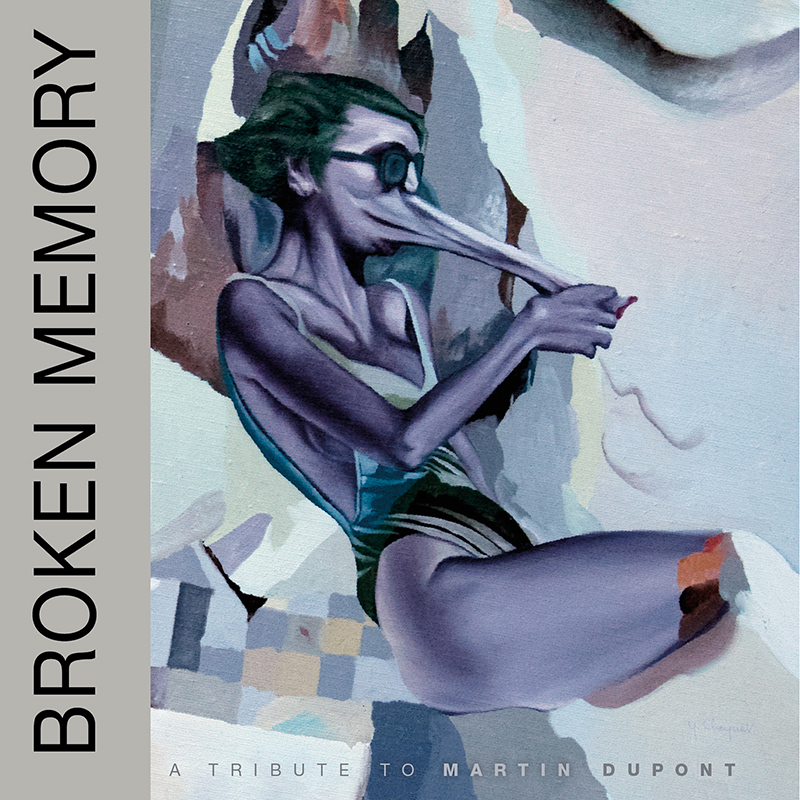 The tribute does not end with the music, we also chose to fit in with Martin Dupont's discography by using an Yves Cheynet painting for the album cover. We have also a nod to the visuals of the original albums and a bonus audio cassette of exclusive tracks - similarly to what the band did for their second album. Our bands have participated to the project and we have also received covers from Italy, Germany, Spain, Russia and the USA! a clear-cut proof of Martin Dupont’s influence. And the various musical styles in the compilation also show their impact: electro pop, minimal-electronics, ebm, italo synthwave, electro, darkwave and more surprisingly, punk rock! This project gives boredomproduct the opportunity to release its first vinyl LP edition along with a regular CD edition of course and also to propose a second part to the compilation with an 8-track audio cassette of exclusive bonus.